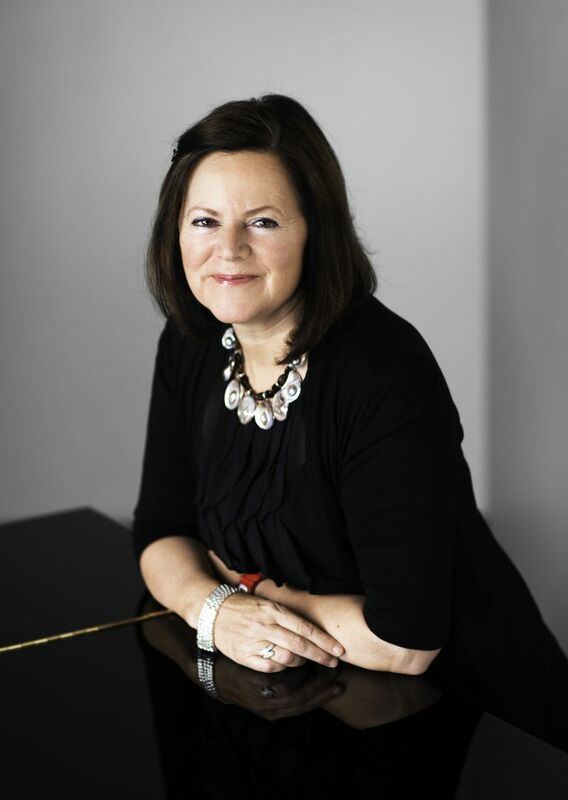 Kathryn Stott has been a regular performer over the years at RVIPW, both as soloist and also with Martin Roscoe. Here she shares some of her memories and impressions of the festival. Do you remember your first experience of RVIPW? I don’t have a good memory I’m afraid so I can’t tell you what year it was, what I played and so on. However, I do remember that it was in Blackburn College and that the list of international pianists coming to perform there was impressive. You play in many different countries at disparate venues these days, from vast International Concert halls with audiences in their 1,000’s to smaller, intimate theatres like ours. Can you tell us a bit about how these experiences vary? I think there are many different aspects to consider with each venue, but what I hope to create, whatever the size of hall, is the feeling that the concert is an experience between performer and audience – one needs the other, how ever far away they may be sitting. The beauty about the Theatre in Westholme School which you use for RVIPW, is that one can easily make eye contact with the audience and that’s something I personally enjoy. What’s great about festivals like RVIPW is that you create an atmosphere of being part of something special, even if just for a week. Some audience members like to sign up for everything and enjoy the kind of musical overdose experience. Others like to dip in and out. To have events like this spread all over the country is very important for keeping music ‘live’ in our communities. How important are festivals like RVIPW in the development of a young musician’s career? RVIPW has always created opportunities for young performers which is wonderful. We don’t become experienced musicians overnight! Because I’m generally playing heaps of repertoire throughout the season, (currently between 30-40 scores due for performance in the next months) these days I might select one basic programme idea but make a few adaptions for various promoters if necessary. When I first started my career, I used to offer everyone 3 totally different recital programmes. Those days are gone! Difficult to be precise because it very much depends if the programme is new, in which case we are talking months. If I’ve been playing the programme recently then I’ll continue to work on it, but amongst other repertoire. Friendly and welcoming above all else. However, it’s only fair to say that I do know how much goes on behind the scenes to make anything like this possible. I’ve always felt that the concerts have been presented in a highly professional and thoughtful way. I think I’ve come to enjoy this aspect more as the years have gone by. It IS an effort to move from the house and go to a concert. Let’s not forget people pay money to come and hear us, possibly looking forward to concerts for months. It’s just nice to engage as much as you can, which for me starts in the hall by being able to see the audience. I don’t like looking out into darkness for this reason. You have played many times for us over the years. Is there a particular concert which stands out from the others as being a favourite? I’ve enjoyed them all equally! Imminent plans include a 3 week tour of New Zealand with a mix of Concerto and Chamber concerts. I visited the country for the first time 2 years ago and absolutely loved it, so I’m excited to see more. On a slightly different track, I’ve recently been appointed Artistic Director of the Australian Festival of Chamber Music and co-AD of a new festival in Norway called Fjord Classics, so not much lazing around in the foreseeable future!